I have recently become obsessed with these Rancho Gordo Beans (to put it lightly says Chris) because they actually taste like beans!! Ok I am sure most of you are rolling your eyes wondering if I have lost it – to which the obvious answer is yes but you should still check out these beans. They are all heirloom varieties so the unfamiliarity can be a little intimidating but they are SO worth it. I mean have you ever seen such beautiful beans!!? I originally bought these while in San Fransisco at the Ferry Building and just picked out three I thought were pretty and might be interesting to taste side by side. 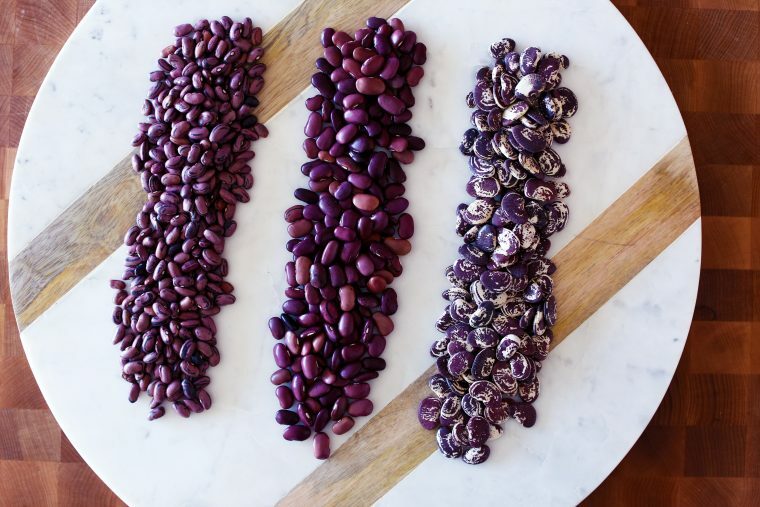 I was shocked at the depth of flavor and differences in texture between the three kinds – all of which have basically been replaced by the grocery store kidney bean. I also bought some Mexican Chocolate, Mexican Vanilla, Canela cinnamon, and Mexican Oregano…I’m pretty excited about it. 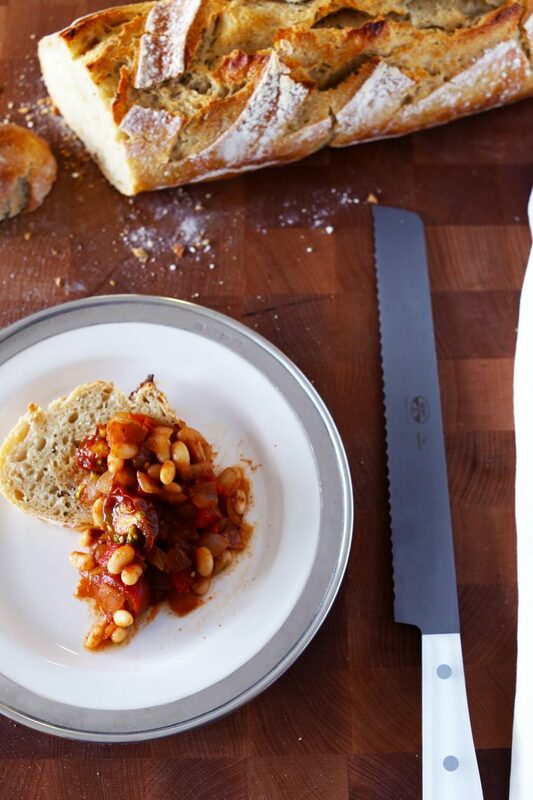 For the “one pot of beans” recipes I decided to go with this little Ayocote Blanco white bean because it seemed a little more Spring-time appropriate and able to go with everything from spicy lamb sausage to lemon or even pickled red onion. Pretty impressive for a little bean. Slice lemon as thinly as possible and remove seeds (this is a bit tedious in know). Cut slices in half and set aside - toss the end pieces. Start heating water for pasta. Heat olive oil in a large sauté pan or pot. Add garlic and anchovies and cook, stirring often until just starting to brown (but be very careful not to burn the garlic!). Add lemon and let cook, stirring occasionally until lemons soften and start to get some color, about 5 minutes. 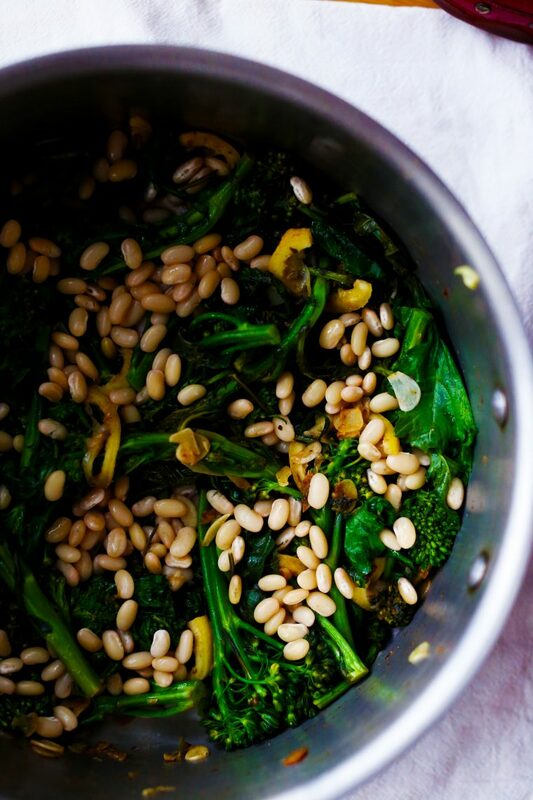 Add broccoli rabe, tossing to coat it in the lemon mixture, then pour in the white wine and scrape around the bottom to get any browned bits unstuck. 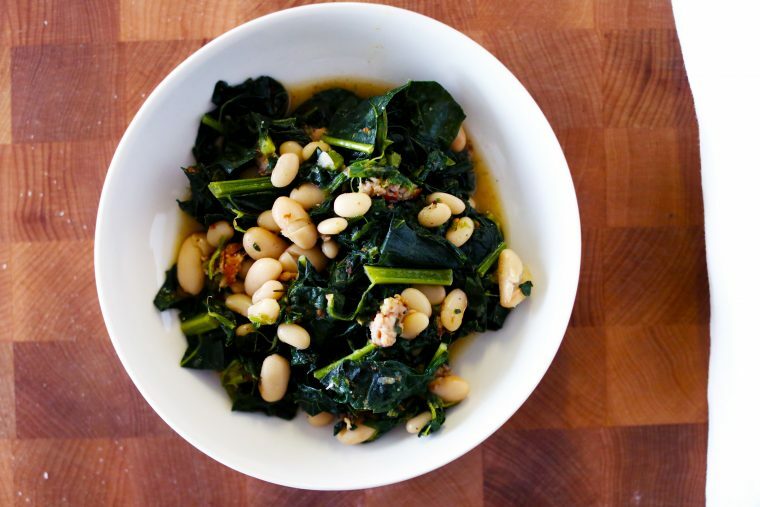 Let cook until broccoli rabe has wilted and charred slightly, 5-7 minutes. Add beans and season with salt and pepper if needed (be careful with the salt if you used anchovies). Cook pasta according to box instructions, drain and add to broccoli mix. You can toss in some parmesan here or just have it on the table. The beans can be cooked a few days in advance and kept in the fridge. 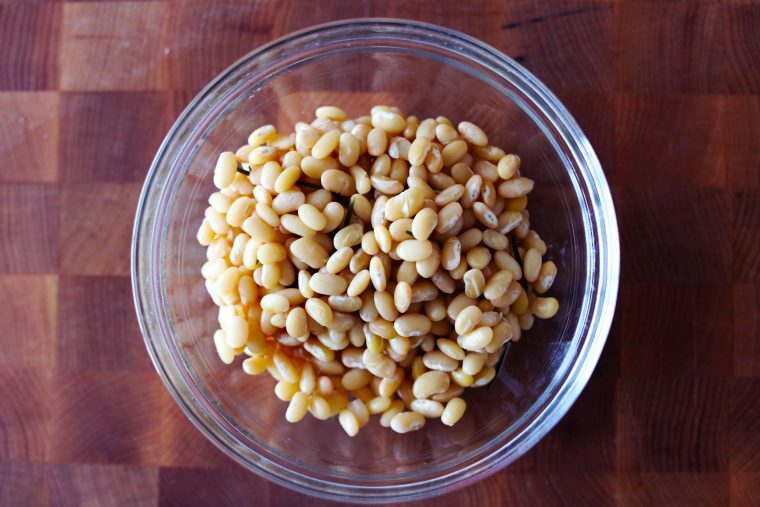 If you must used canned beans, rinse thoroughly before adding them. Heat olive oil in a large sauté pan or pot. Add sausage and break it up into small pieces as it cooks. Once it starts to brown add the garlic, season with salt, and cook a minute or two. 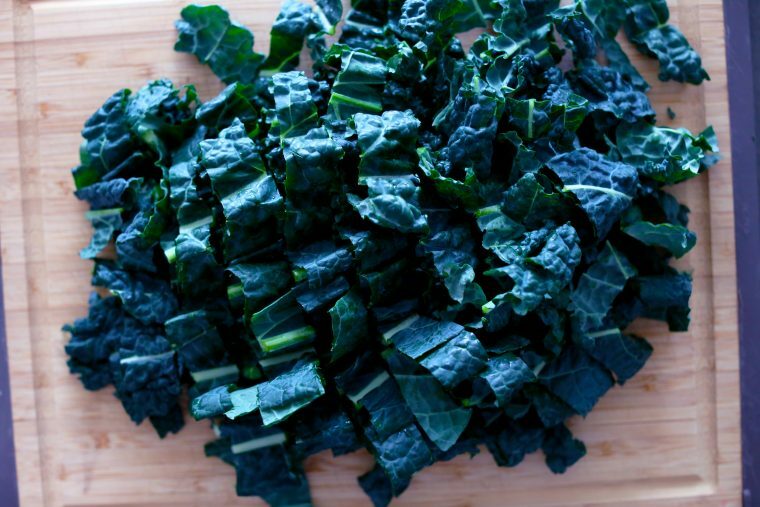 Toss in the kale and then the white wine, scraping the browned bits off the bottom. Add the parm broth (or water) and beans. Let cook until liquid has reduced significantly, 10-15 minutes. Season with salt and pepper and red pepper flakes for extra kick. If you do not want to use sausage, simply up the olive oil amount a tablespoon or two and add more red pepper flakes at the end. If you want this to be more of a main course stew, add a touch more liquid at the end until you have the consistency you want - if using the sausage this could definitely be a main course. Heat olive oil in a sauté pan and add the onion. Cook 5 minutes, stirring occasionally until translucent. Add the red bell pepper and garlic and cook another 3-4 minutes. Stir in the tomato paste - it will kind of stick to the pan which is good, meaning the sugars are caramelizing, just be careful not to let it burn so keep stirring and cook only a minutes or two then pour in the white wine. Add the beans and cherry tomatoes and let cook just a minute to let everything meld. Season with salt and pepper. Serve on some really tasty toasted bread and with any of the additions listed above. 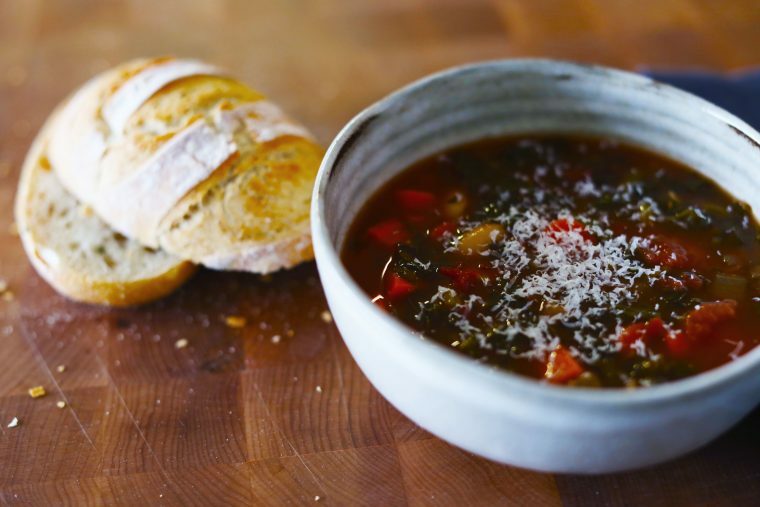 Ribollita (One Pot Tuscan White Bean Soup) – hands down my favorite soup I make, not to brag or anything. I learned the original recipe in culinary school but after making it countless times in the past five years I have recently tweaked the recipe to be one pot and so easy its just ridiculous. I always have some in the freezer, even through the summer for those stormy nights. 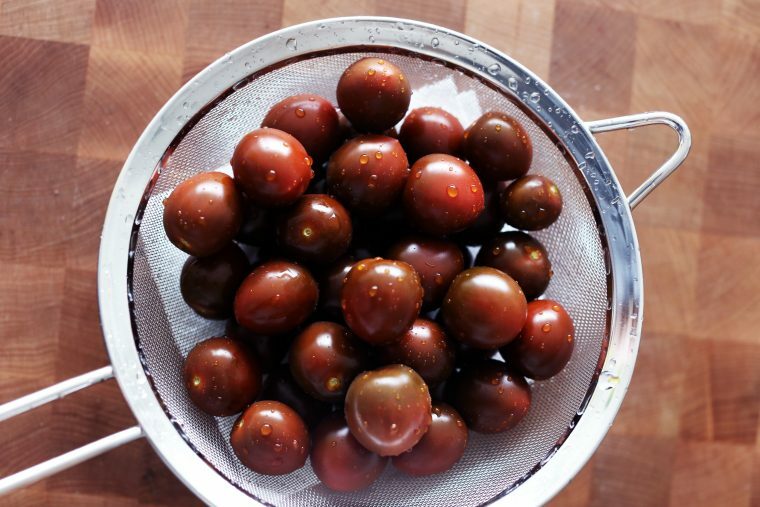 Heat olive oil in a small sauce pan, add the sage and let fry until crispy and fragrant, 2-3 minutes. 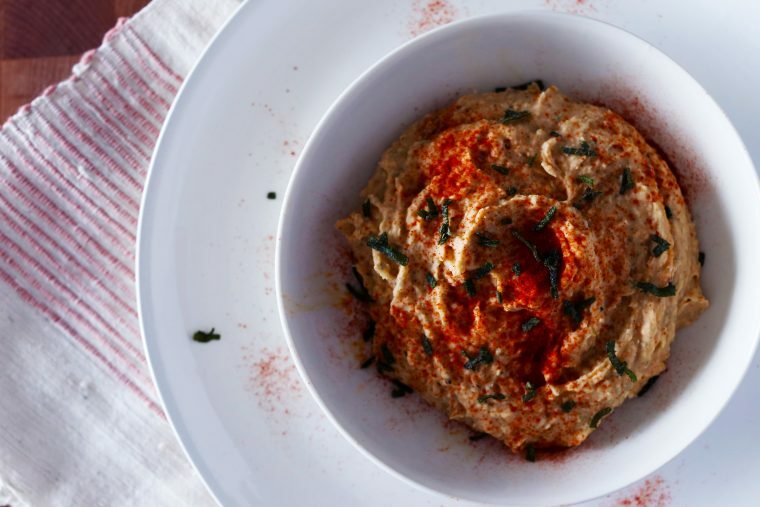 Combine everything in a food processor and puree. Season with salt and pepper - it will need a fair amount but add gradually and taste as you go. What a great post! I don’t want to be overdramatic but this is exactly why we do what we do. You “get” it! Thanks for this inspiration. Thank you Steve!! 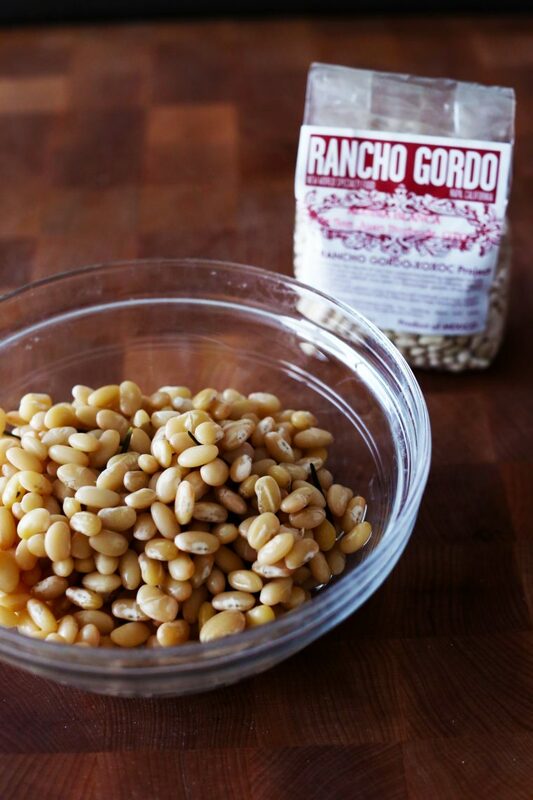 I am such a huge fan of yours and Rancho Gordo – we need more people to “get” it and many more people like you to make it! Looking forward to many more bean-filled meals. And thank you for giving me a shoutout on fb! So glad you stopped by Cary! Steve’s beans are so wonderful AND they are the kind of food we need more of.